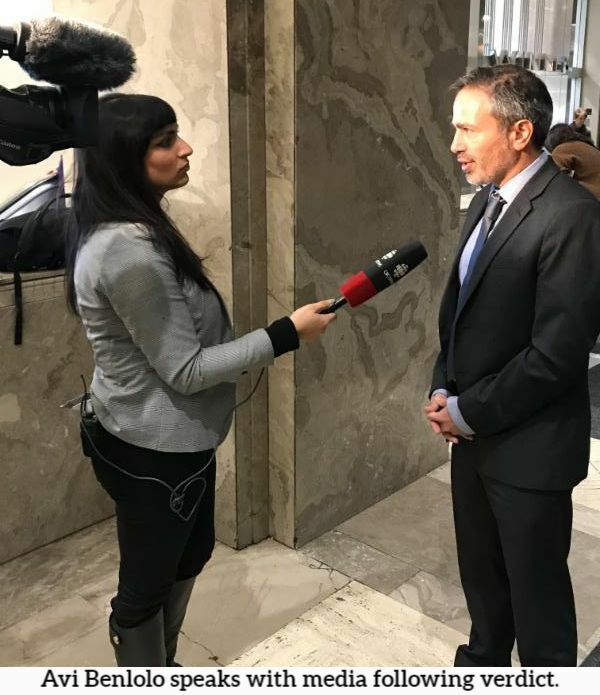 Toronto (January 24, 2019) - Friends of Simon Wiesenthal Center (FSWC) applauds today’s decision by Justice Richard Blouin to hand down a guilty verdict against the publisher and editor of Your Ward News, who were charged more than a year ago with wilfully promoting hatred against women and Jewish people through their publication. In his conclusion, Justice Blouin stated, "I conclude that both men were fully aware of the unrelenting promotion of hate in YWN and intended that hatred to be delivered to others. Both are found guilty as charged on each count." "The Jewish community, among others, has been fighting for years for the creators of Your Ward News to face justice, and finally justice has been served," said FSWC President and CEO Avi Benlolo. "This guilty verdict sends a message that the promotion of hate will not be tolerated in today’s society and committing a hate crime is a serious offence that could lead you into a courtroom. This verdict will hopefully open the path to more convictions against perpetrators of hate crimes, which have been on the rise in Canada." "Unfortunately, this will not be the end of Your Ward News. However, Friends of Simon Wiesenthal Center will continue being front and centre working with police, with the crown and the community at large to ensure this decision is upheld and justice is served. We thank the Toronto Police hate crime unit and the crown for relentlessly pursuing this case to this positive conclusion. We further thank our Lawyers4Wiesenthal team who worked on this file," Benlolo added.